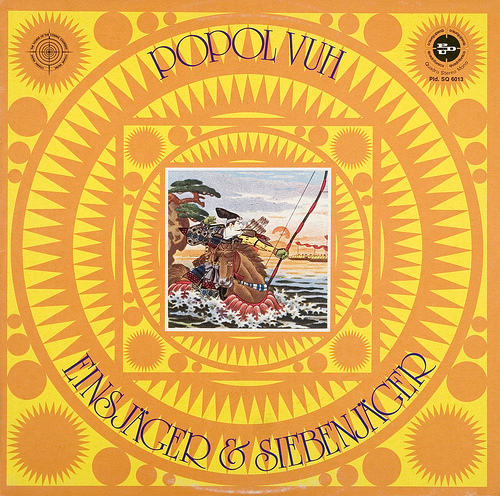 The Essential… Popol Vuh - FACT Magazine: Music News, New Music. 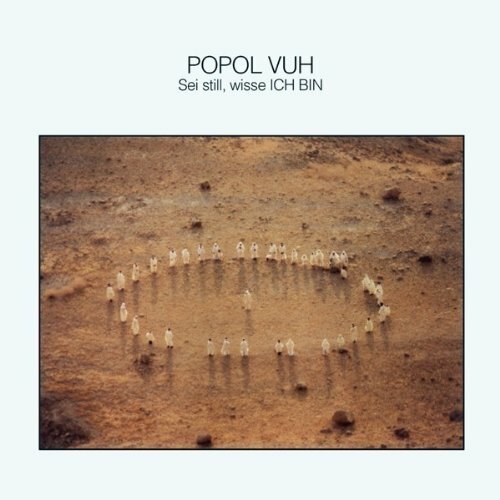 Formed in 1969, German ‘kosmische’ band Popol Vuh were inarguably the brainchild of musician Florian Fricke. Fricke named the band after the Mayan ‘book of the people’, and used a love of spiritualism, modern art and philosophy to inform decades of musical choices. It was in relative isolation that Fricke stumbled across the sound that would characterize Popol Vuh and prove such a crucial influence to the wider music world in the years that followed – and early on Fricke had the ideal tool in his cumbersome, extraordinarily large four-module Moog synthesizer. Few could have guessed the staple the Moog would eventually become, but in 1969 Fricke was only the second person to own one; synthesizers back then were a curiosity at best and an expensive one at that. Fricke had been introduced to the instrument by German musician Ebehard Schoener, and was captivated by its seemingly alien sound and ability to, in his own words, “express what I was hearing within myself.” Along with his wife Bettina, percussionist (and band mainstay) Holger Trülzsch and Frank Fielder (an engineer who had a better idea how to work with the challenging Moog), the band put together their pioneering low-key debut album Affenstunde (1970). For many listeners, the polarizing record is still Popol Vuh’s finest hour, and certainly, forty-three years later, it still sounds disarmingly unique. The Moog is at the record’s core, but Trülzsch’s unmistakable occidental rhythms are just as important, and easily distanced Popol Vuh from Fricke’s often better-known ‘krautrock’ peers. Fricke took the sound deeper into the spiritual realm on the similarly synthesizer-anchored follow up In den Gärten Pharaos (1971), but the rhythmic, quasi-religious focus signalled a move that would quickly pull him away from the wavering experimental electronic music these first two albums eventually served to inspire. After informing the direction of Tangerine Dream’s pioneering 1972 full-length Zeit, contributing Moog to the opening track – an element that the band’s Chris Franke called “the key” to the album’s sound – Fricke abandoned electronic sounds entirely on that year’s Hosianna Mantra. In their place were piano and harpsichord, and the entrancing vocals of Korean soprano Djong Yun, vocals that would come to define the band almost as much as wavering alien hum of the big Moog. It was around this time that Fricke was asked by Werner Herzog to cooperate on the score to his forthcoming Aguirre, The Wrath of God. This was a meeting of minds that would prove to be the most iconic collaboration of his career. Fricke was an old friend of Herzog’s thanks to his days working as a film and music critic, and this closeness is possibly why the two had such a fruitful relationship. From this point, the two collaborated on five separate films, each proving just how evocative and visual Fricke’s music could be. By 1975, Fricke’s fascination with electronic music felt like a distant memory. He sold his legendary Moog to fellow German synthesizer pioneer Klaus Schulze, and his assertion that the synthesizer covered “the entire range of human emotion” was replaced by the idea that it was instead providing shackles on his creativity. A trilogy of records devoted to holy books followed (Seligpreisung (1973), Einsjäger und Siebenjäger (1974) and Das Hohelied Salomos (1975)) and characterized the band’s move into more guitar-led (I hesitate to use the word ‘rock’) territory. This was no doubt aided by the inclusion of Amon Düül II’s Daniel Fichelsher, who Fricke bumped into while assisting Conny Veit with Gila’s essential 1973 album Bury My Heart at Wounded Knee. 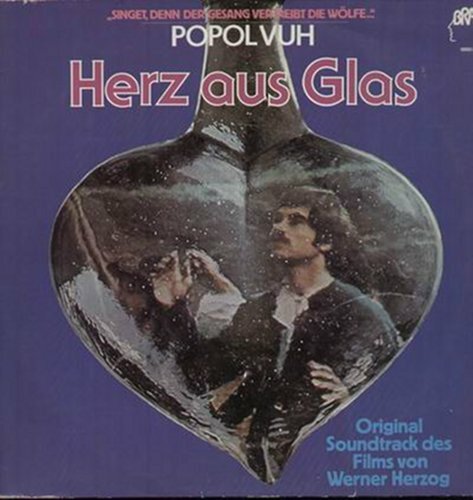 Fichelsher stuck with Popol Vuh (occasionally sporadically) until 1991’s For You And Me, and proved to be Fricke’s most long-standing collaborator. Fricke had settled firmly into his sacred music obsession when he embarked on the winning 1980s run of Sei still, wisse ICH BIN (1981), Agape – Agape (1983) and Spirit of Peace (1985). Sadly, however, the further we get to the 90s, the more Fricke seemed to remove himself from the music he had sought to make his signature. 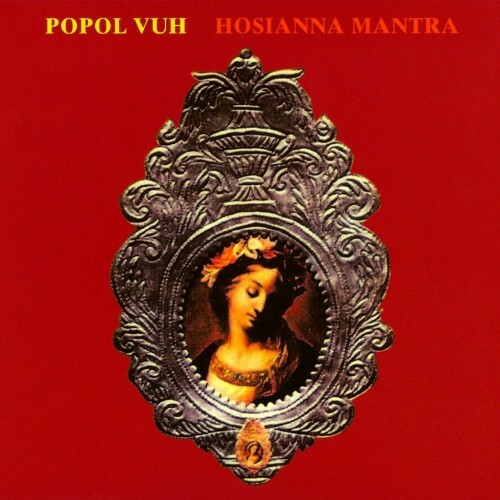 Popol Vuh’s 90s period was stymied by the unheralded popularity of new age music and the inclusion of new collaborator Guido Hieronymus. 1991’s For You And Me was a nauseatingly glossy affair that’s tough to listen to for even the most dedicated Fricke apologist, and its follow-up City Raga (1995) is even worse, sounding as if Fricke had handed the reigns almost entirely to Hieronymus, and bearing little or no resemblance to any of his previous compositions. 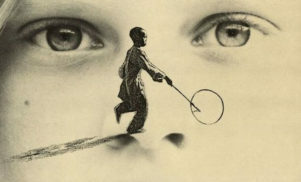 Whilst the albums did mark a return to electronic music to some degree, the band’s adoption of contemporary techniques felt hammy and misjudged, and simply didn’t make sense in light of Fricke’s careful legacy. They were more peculiar still in light of solo piano stopgap record Florian Fricke Plays Mozart (1992), which is almost City Raga’s polar opposite. 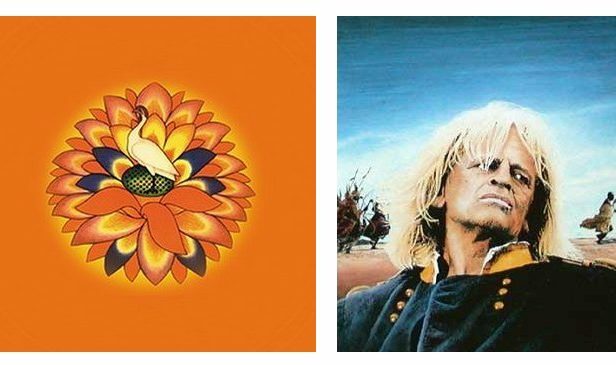 Florian Fricke died in 2001 at fifty-seven years of age, and left behind him a catalogue that stands as one of experimental music’s most diverse and most rewarding. 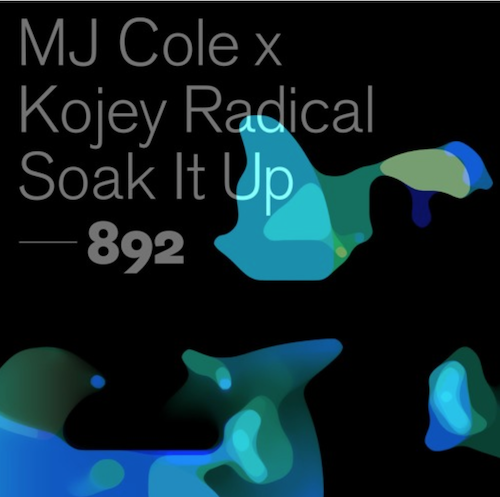 Through an obsession with religion, philosophy and art he managed to, for the most part, transcend the commercial trappings of modern music and effortlessly carve out a niche for himself and his rotating team of collaborators. It is with warmth that we can look back at an interview in 1989 where Fricke was quizzed on his involvement with Kate Bush, who had thanked him on the sleeve of her world-beating 1985 album Hounds of Love. A self-confessed “purist,” Fricke didn’t know who the hell she was when she got in touch to adapt a song from Popol Vuh’s Nosferatu soundtrack, and declined the offer. “Today I know, of course, and would have helped in some way. She’s good!” It is precisely this attitude that gave his music such a unique quality when it was recorded. and has given it such a resounding influence since – it’s not simply the isolation, it’s the focus. 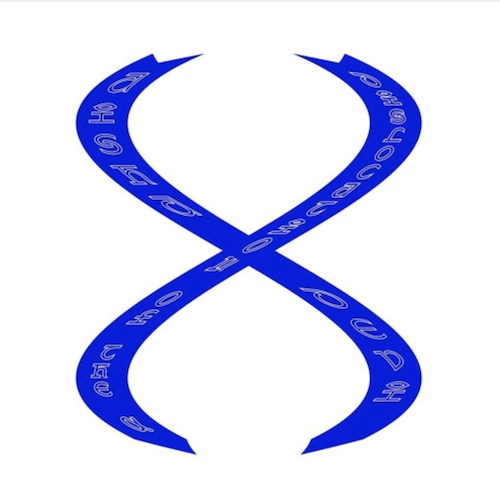 Fricke had a great deal he wished to prove with debut album Affenstunde, and it’s a sense of exploration and commitment that still gives it a curious edge over the rest of his catalogue. The record’s cover gives us one of the biggest clues to its inception – a photograph of the Roter Pfarrhof of Peterskirchen in Wasserberg. The building was the home of Gottliebe von Lehndorff, a liberal whose husband was involved (and executed) in an unsuccessful plot to assassinate Adolf Hitler. She organized courses in art and philosophy at the monastery, so it’s unsurprising why a young Fricke would find himself there – this building, at the time probably unknowingly, signified the band’s three most persistent themes. 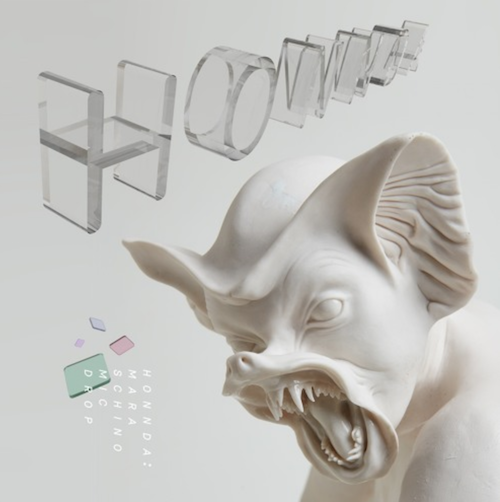 The album’s opening side is made up of three pieces under the name ‘Ich mache einen Spiegel’ or ‘I make a Mirror’, and split up by seemingly inconsistent numbers. The third piece, subtitled ‘Dream Part 49’ is the album’s most disarming and mysterious composition. 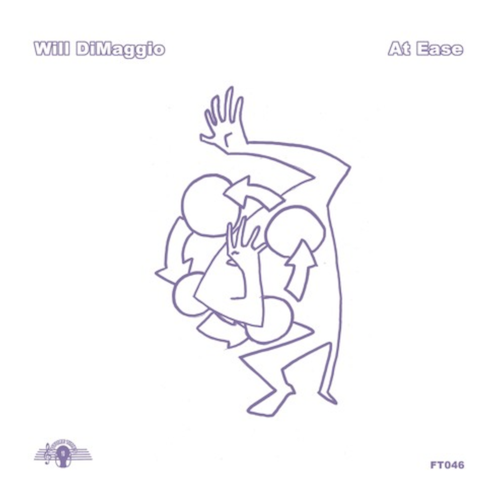 Almost entirely based around Fricke’s famed Moog, it characterizes exactly the kind of unheard yet deeply human sound he spoke of when explaining his process. Holger Trülzsch’s rhythms, so prominent on the track’s predecessor ‘Dream Part 5’ can barely be heard at all, like faint knocking at a basement door somewhere close by. It’s important to realize that Affenstunde was the first album of original music to be created with the Moog synthesizer – and in 2013 there’s still very little that comes close. Picking a specific track from Popol Vuh’s second album In den Gärten Pharaos is an almost impossible task. 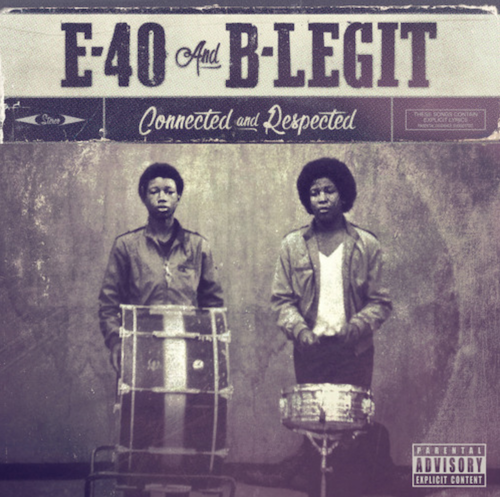 This was to be the band’s second and final ‘electronic’ album, and put its predecessor’s spiritual themes and forays into world music into the foreground for the first time. 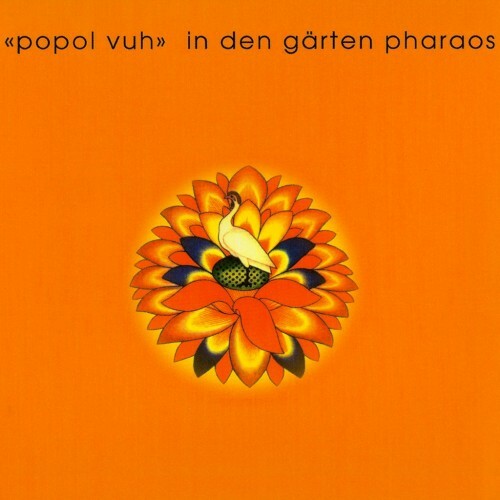 The opening side is made up entirely of the title track, and while there’s a solid case for flipside ‘Vuh’ in its church organ-drenched, triumphant greatness, it is ‘In den Gärten Pharaos’ that sticks in my memory most vividly. 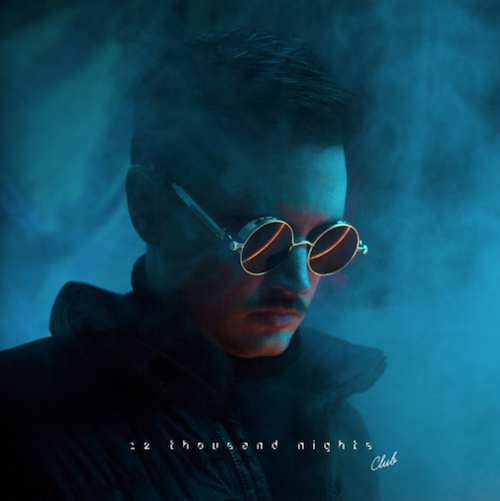 Although led by Fricke’s now unmistakable Moog, it is (somewhat surprisingly) Holger Trülzsch’s African and Anatolian-inspired patter that dominates the track. We’re treated to the collision of a sound rooted in tradition and one so often billed as coming from the future – yet, somehow, Fricke manages to soften the edges just enough to make it work. The term ‘world music’ is forever cursed with the ability to send shivers down the spine of most self-respecting listeners, yet what Fricke and his collaborators managed here transcended any kind of awkward cultural tourism. Contemporary musical explorer Daniel Lopatin (aka Oneohtrix Point Never) contemplated in a recent FACT interview the usage of world music to define alien landscapes in contemporary science fiction, which might go some way to explaining quite why the two sounds fit together so well, at least to listeners in 2013. Exactly why Florian Fricke abandoned the synthesizer is unclear – whether it was, as some rumours suggest, brought about by a near-fatal electric shock, or simply because he felt like he had done everything that could be done with electronic music, it didn’t seem to matter on the almost entirely acoustic Hosianna Mantra. Here, Fricke’s musicality and that of his collaborators (most obviously Gila’s Conny Veit) is in full focus: he taps out melodies and mantras on piano and harpsichord, accompanied by electric guitar, tamboura and Djong Yun’s moving vocals. 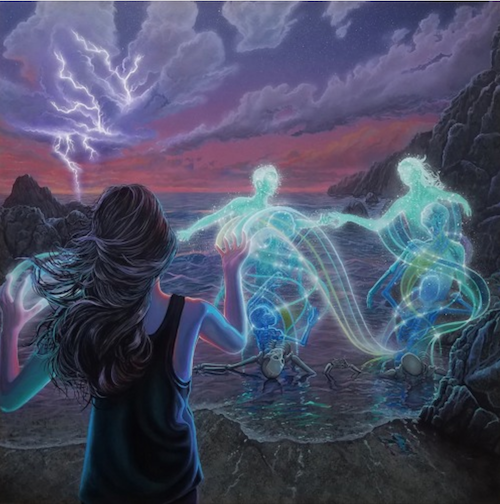 More so than the previous two albums, Hosianna Mantra feels musically like a step towards the popular progressive rock scene, yet lacks any of that movement’s embarrassing posturing or lofty ambition. Rather, it is rooted in Fricke’s recent conversion to both Christianity and Hinduism; ‘Kyrie’, arguably the album’s most memorable composition, is itself named after a Greek Orthodox litany. Don’t let the spiritual overtones put you off, though – it’s important to remember that Fricke was far from a Bible beater. While the music itself was rooted in an obsession with the sacred, it is surprisingly subtle, and devotional through its intent instead of being used as a clunky conversion mechanism. ‘Morgengruss’ appears on both Einsjäger & Siebenjäger and the later Aguirre, even though it was nowhere to be found in Herzog’s actual movie. This might be a hint at its quality, and even though it is only a mere three minutes in length (a far cry from Fricke’s side-long masterpieces), it’s easily one of the most life-affirming recordings the band have ever made. 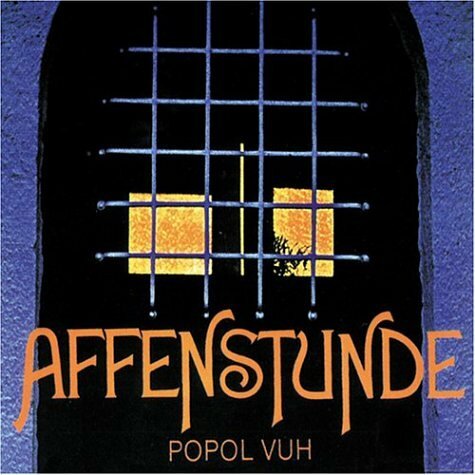 Straightforward for Popol Vuh, it’s a shining example of Fricke’s jubilant mode, something that can often be forgotten when languishing in the odd soundscapes of his earlier output. 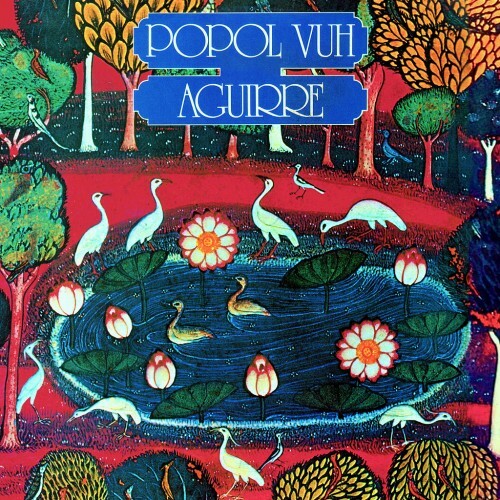 If there is one track that has come to define Popol Vuh more than any other, it would be ‘Aguirre I’, from the 1975 full-length Aguirre. The record itself was something of an anomaly; only two of the pieces were actually used in Werner Herzog’s seminal film Aguirre, the Wrath of God, and the rest of the album was a patchwork of previously released material and unheard oddities. Thankfully, it was put together at a time when Fricke could do very little wrong, so it’s still an immensely rewarding record even if it doesn’t feel as necessarily canonical as much of the rest of the 70s catalogue. ‘Aguirre I’ is one of the themes that made it into Herzog’s film, and even thought it wasn’t released until 1975, it was clearly recorded before Fricke ditched his Moog. Here we find him utilizing the maligned synthesizer and a rare one-off Austrian tape-based machine similar to the mellotron known as a choir organ. 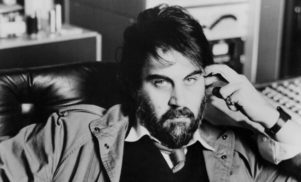 Bearing notable similarities with Vangelis’s later experiments with synthesizer and voice, the track was Fricke’s first composition for film and is stunningly effective. On its own, ‘Aguirre I’ is denser and more (dare I say it) cinematic than anything on Affenstunde and In den Gärten Pharaos (which we can assume are its contemporaries), and as a motif or theme it has certainly stood the test of time. 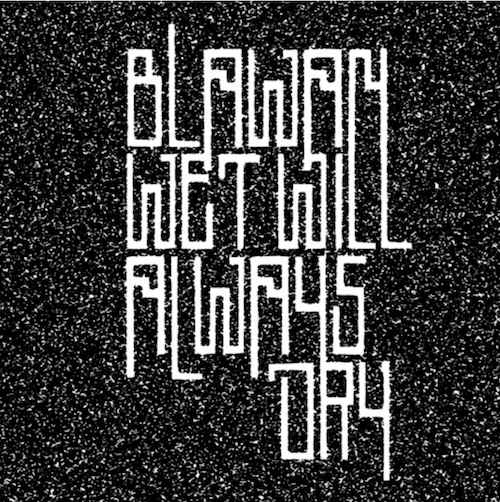 Russell Haswell and Florian Hecker’s bizarre 2008 rework is also worth a look for those of you with adventurous taste and a strong constitution. This might explain why the album is possibly the least filmic of Fricke’s collaborations with Herzog. Indeed it’s Daniel Fichelsher’s influence that still appears to have a hold on Fricke, not least on ‘Hüter der Schwelle’, which almost sounds like a transcendent, spiritual counterpart to Black Sabbath’s 1970 metal launchpad Black Sabbath. 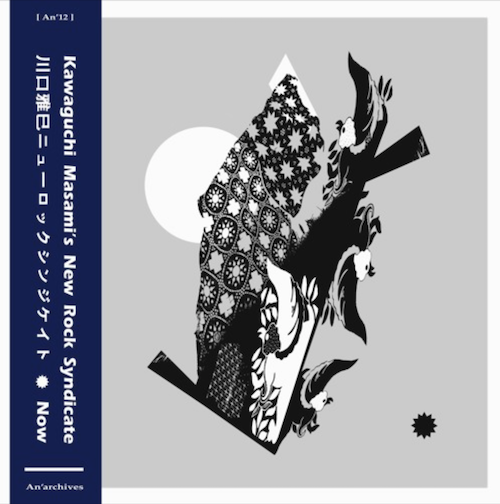 Spacious and saturated, this is the kind of music that made them so different from their peers – where other krautrock and progressive rock bands were drifting further into jazz territory or overdoing the theatrics, Fricke’s unrelenting willingness to follow the spiritual path granted us a cache of truly remarkable music. 1978’s Nosferatu is again not strictly a soundtrack album for Werner Herzog’s film of the same name. Fricke initially composed a suite of new music for the film, which saw the light of day as the album Brüder des Schattens – Söhn des Lichts, but Herzog felt he needed music with a darker tone and raided Fricke’s “big, big, big box of old material from the early years” in search of “music to be afraid by.” As with previous film commissions, some of the music that ended up on the eventual compilation of tracks ended up on the soundtrack and some didn’t, ‘Mantra I’, for instance, is on its own. Doomy and molasses-slow, the track touches on Fricke’s beloved Hindu ragas yet carries a far more mournful tone than that might suggest. While utilizing the unmistakable sound of the sitar, there is a distinct funereal quality that belies its influences. 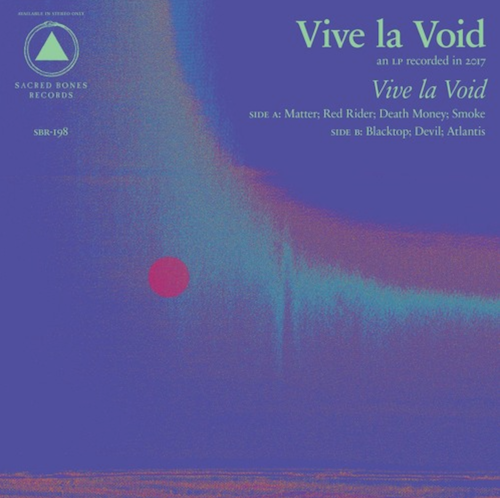 It is one of Fricke’s most recognizable themes, and has made its way into consciousness slowly and surely, sitting apart from Popol Vuh’s early-70s synth experiments, mid-70s rock and later missteps with surprising clarity. 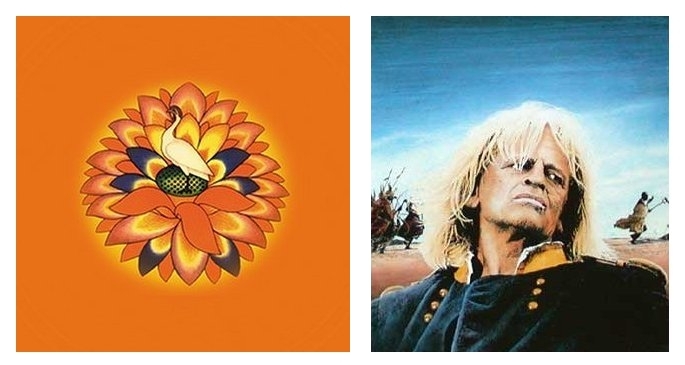 Produced by Klaus Schulze and released on his own Innovative Communication label back in 1981, Sie still, wisse ICH BIN is one of Popol Vuh’s more polarizing records, and marks the beginning of a period many fans choose to ignore entirely. It’s not without warrant of course, and the era did retire the rockier sound of Einsjäger & Siebjäger et al in favour of more obvious devotional tropes that predictably alienated the prog set. Those who can get past the vocal chants and echoing percussion would be treated to a truly magnificent recording however, backed up by not one but three members of Amon Düül II. 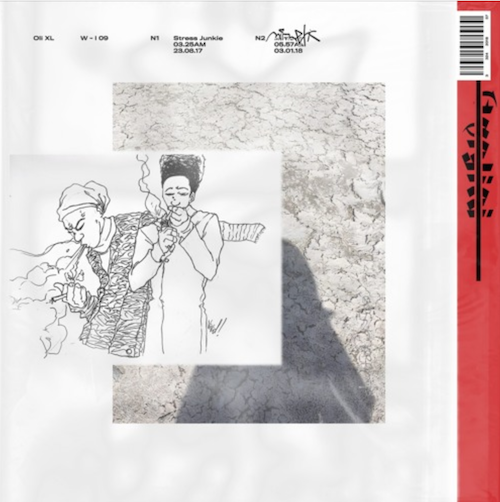 ‘Lass Los’ can be split into two distinct parts: the moody, choral first half (which compares favourably to the earlier Nosferatu soundtrack) and the tonally rich and comparatively upbeat second, which is far more indicative of Fricke’s 80s mode. The track was used, in part, in Herzog’s bizarre and notorious 1982 classic Fitzcarraldo, and signifies the album’s devotional mood perfectly. 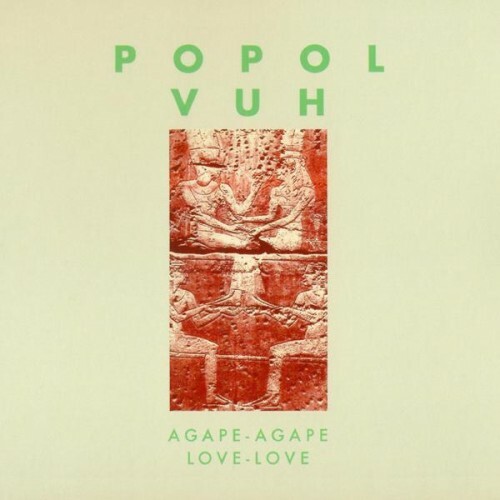 Popol Vuh’s fourteenth album, Agape–Agape, remains one of the band’s most underrated gems. 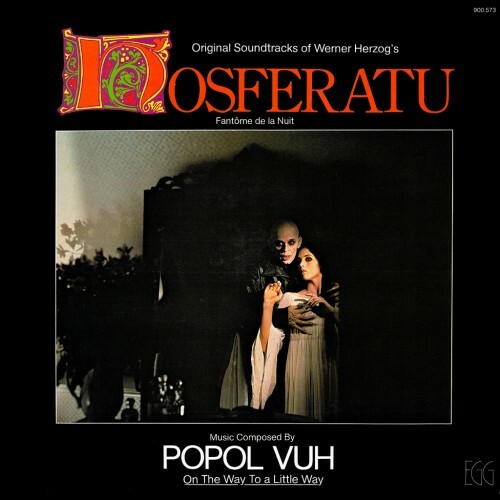 Widely dismissed at the time of its release, it was actually the first Popol Vuh record I heard, and I was instantly drawn to its subtle themes and peculiar interpretation of spiritualism. 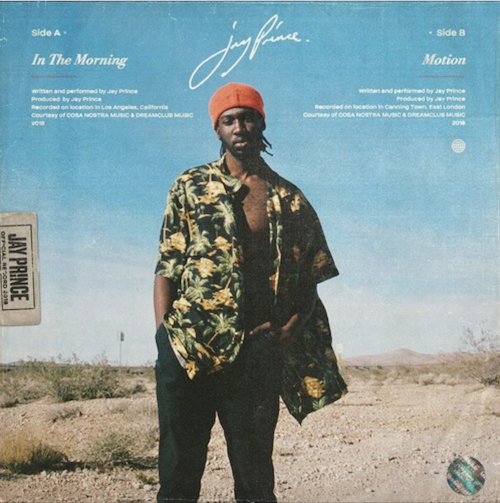 It’s interesting to know that the tracks are contemplations on an impending apocalypse (much like 1976’s Letzte Tage, Letzte Natchte) yet the album title itself translates to Love-Love. This contradiction is precisely what makes Fricke’s music so crucial – and the bittersweet musings of Agape-Agape are some of the most unashamedly beautiful he ever committed to tape. ‘Why Do I Still Sleep’ is the album’s mournful closer, and is a near-solo piano work from Fricke, clocking in at a healthy eight minutes. 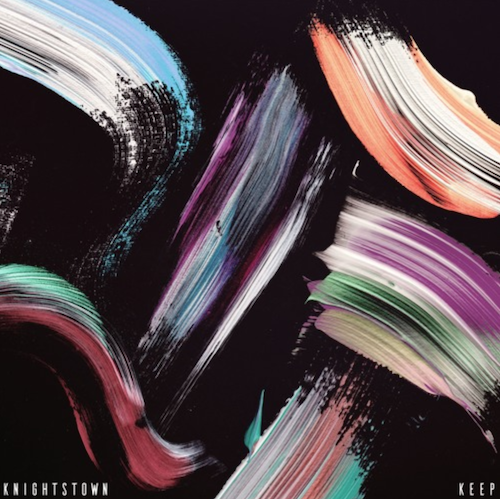 Minimal and disarmingly emotional, it sounds almost like a lullaby, drawing you in with its simple, heart wrenching melodies and saturated, nostalgic sound. Fricke has the ‘ambient’ label thrown his way with an alarming regularity, but here it is actually appropriate, and holds up well against ambient music legend Brian Eno’s own (later) piano-led gem Thursday Afternoon. 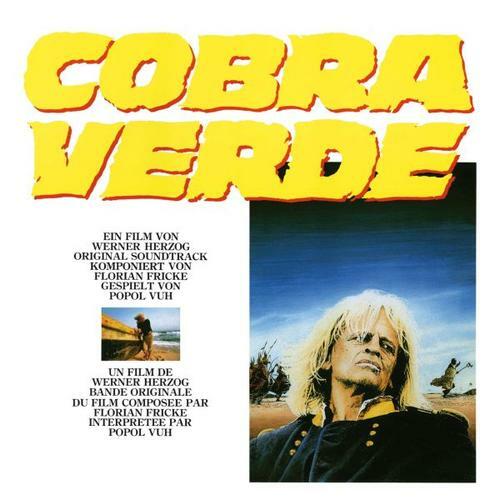 Cobra Verde wasn’t only the last album Fricke made with Popol Vuh before the avoidable Hieronymus era, it was the last time he would collaborate with director Werner Herzog. Far from the band’s finest hour, it nonetheless housed a selection of tracks that found Fricke embracing electronics once more without dipping his toe into the embarrassing dance music tropes that sunk Popol Vuh’s 90’s run. 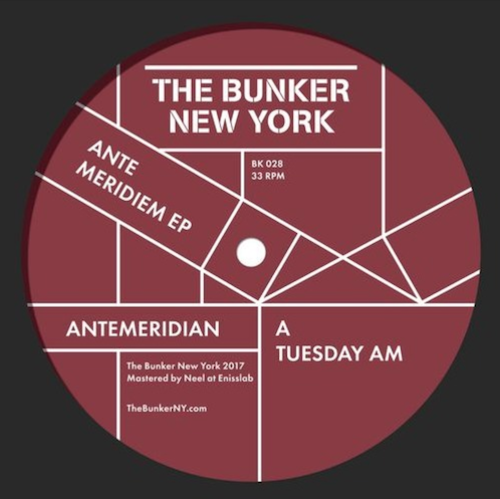 ‘Eine andere Welt’ is a particular highlight, and Fricke’s use of reverb-drenched synthesized strings echoes that of another noted film composer – Angelo Badalamenti. Of course, Fricke’s treatment is significantly less ‘dark’ and unabashadly spiritual in theme, but the similarities remain. It is eventually Fricke’s pacing and unwavering restraint that gives the track such a haunting, and lasting resonance. The sounds themselves might be considered cheap when used in another context, but like the legendary choir organ and the Moog, Fricke finds, against all odds a way to make the unusual pallet his own.